CBLDF’s Executive Director Charles Brownstein took some time to sit down with Justin Azevedo fromThe Association for Library Service to Children’s Blog. 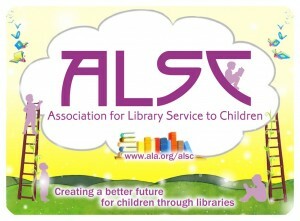 The ALSC is a network of more than 4,000 children’s and youth librarians, children’s literature experts, publishers, and many others involved with with children and literature who share the belief that exceptional library service for those that work with children, as well as children themselves, is crucial to the success of education and therefore the future of our country. The full interview ranges from CBLDF’s involvement with book challenges and a comprehensive look at resources available to librarians and educators to Brownstein’s own origins as a comic book reader as his advice educators and librarians interested in including comic books in their libraries. Today there’s less of a stigma against comics than there was when I was growing up, but it still comes up. Ultimately, comics are multidisciplinary in a way that encourages younger readers to develop multiple types of literacy and to build a sensitivity and awareness or many styles of expression. And for the kids inspired to make them, comics help build teamwork if the work is the result of collaboration, and encourage a wide range of creativity. I think comics are great for everyone, and they’re especially great for kids.